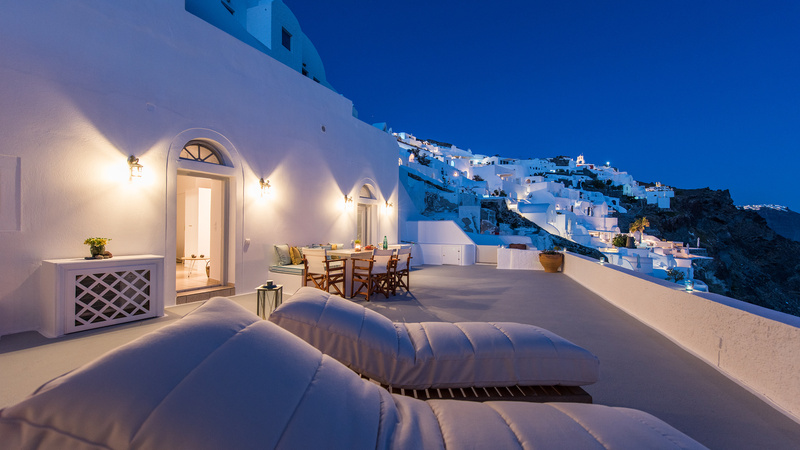 Listen to the sound of splashing waves combined by silence and harmony. 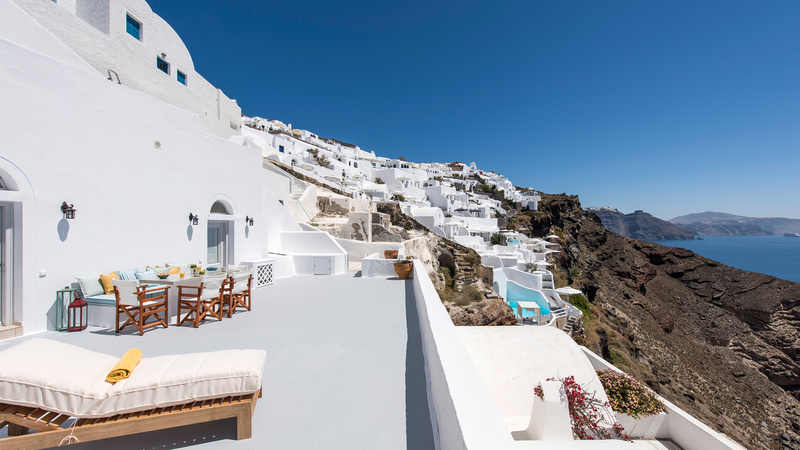 A Perfect Picture Place were whitewashed terrace tumble down to the deep blue ,enjoy the an exclusive front - row seat to the Caldera that can be enjoyed by up to 4 guests at once. 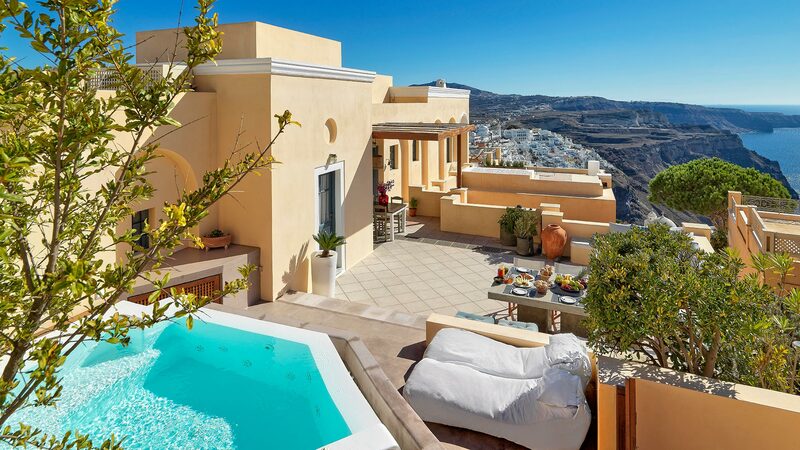 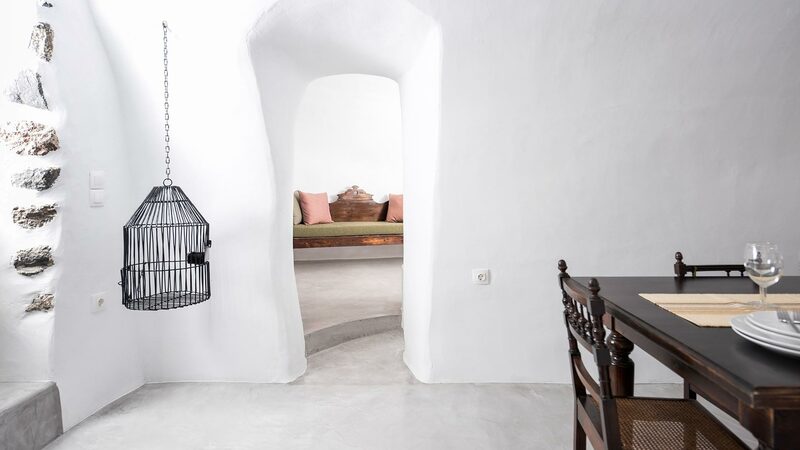 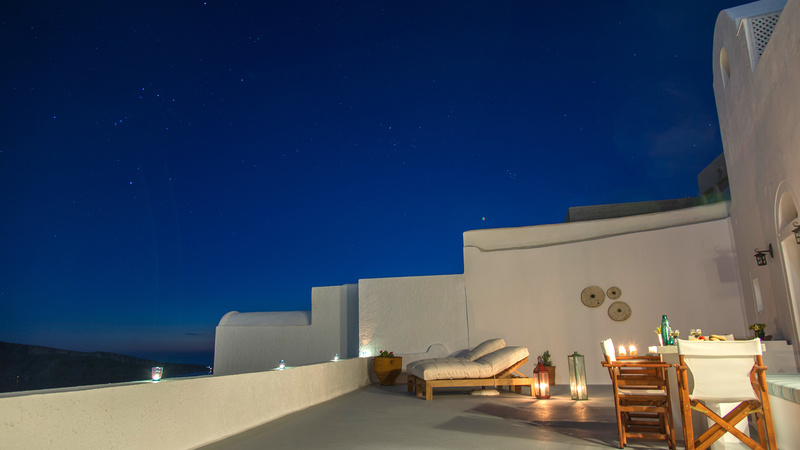 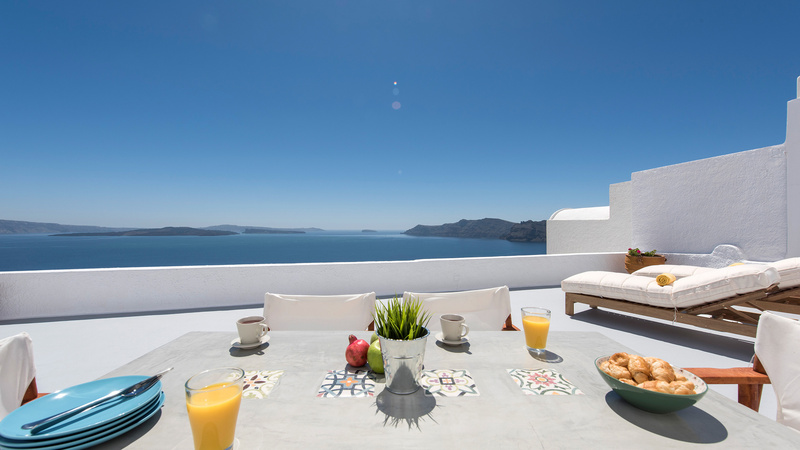 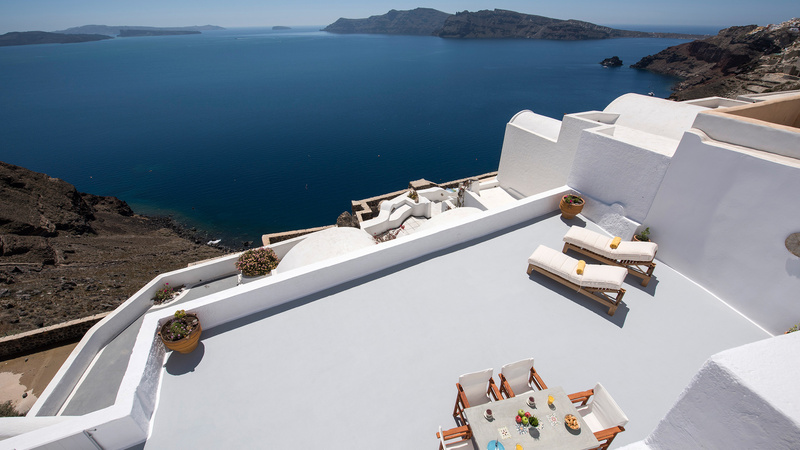 A Private House located at the entrance of Oia’s Village, with breathtaking views of the Volcano and the Aegean Sea. 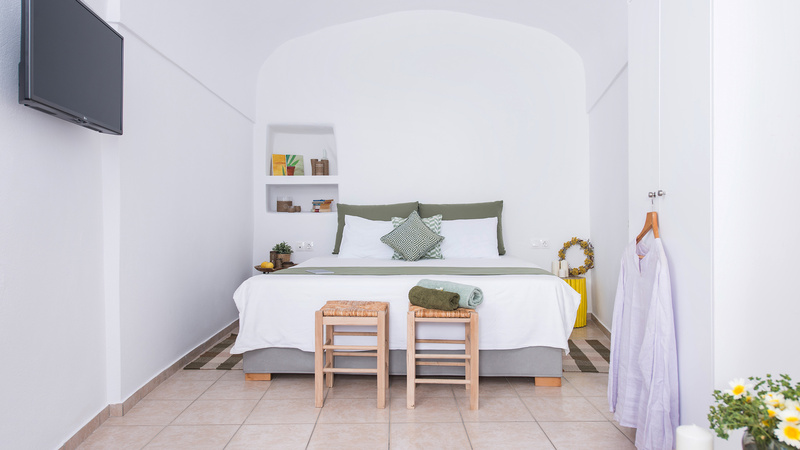 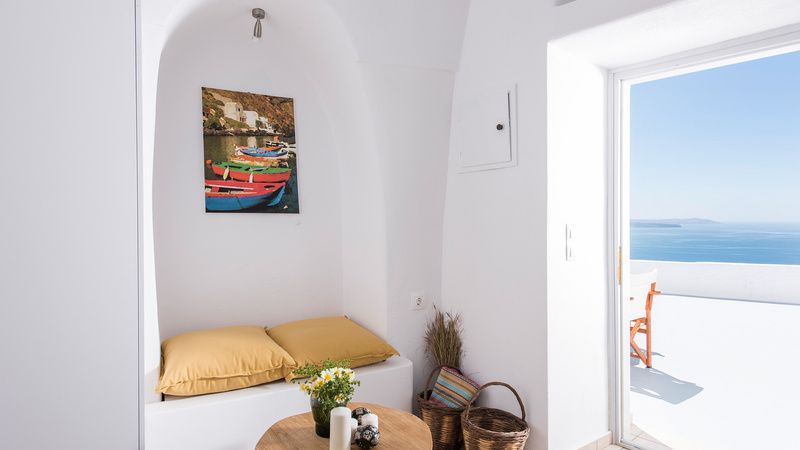 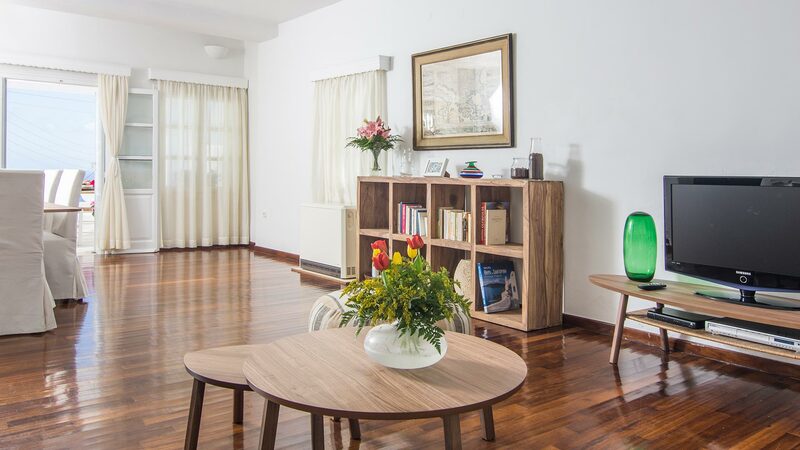 The House is comprised of two independent small houses at the same complex with two open plan kind size bedrooms, two bathrooms with shower, one fully equipped kitchenette with an enormous private terrace that offers colors of the Sea and Perfect Purity. 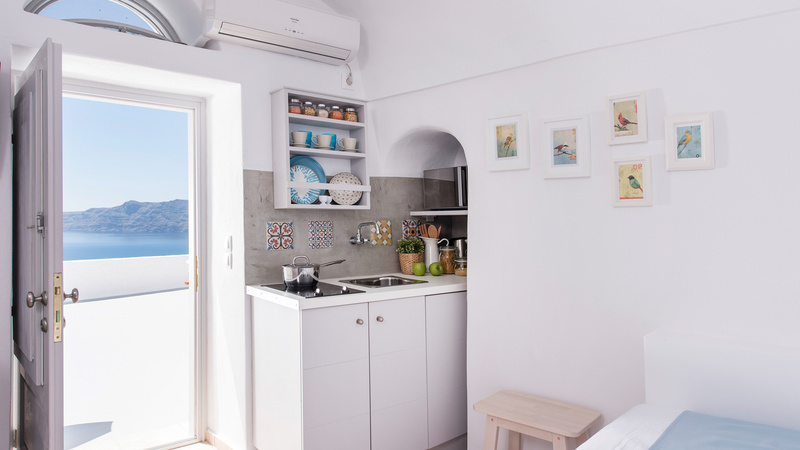 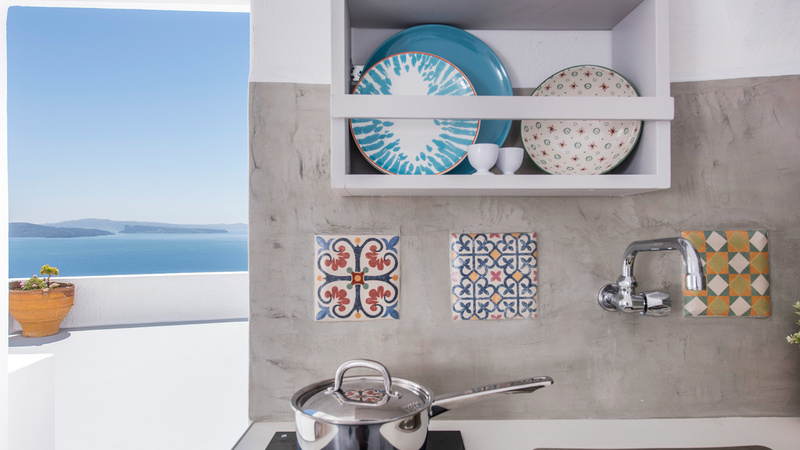 Perfect Purity is a fresh and brand new complex of two houses next to each other, in one flat level built on the Cliff Side of Oia’s entrance. 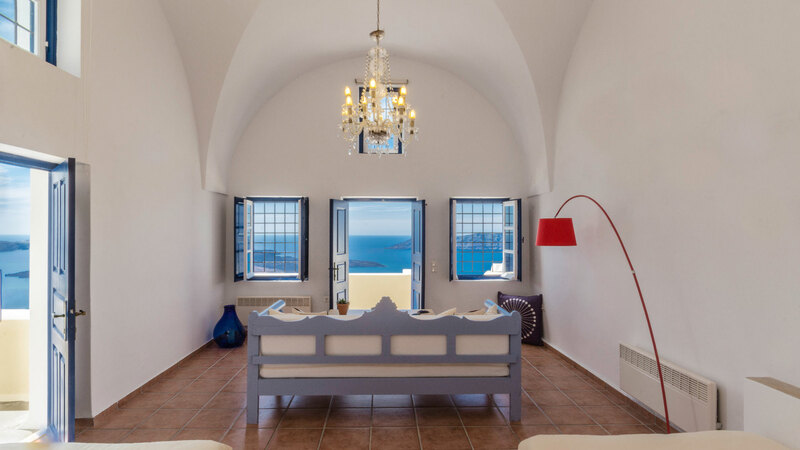 A large terrace offering amazing views of the Sea and at the same time the purity of design echoes the clarity of light. 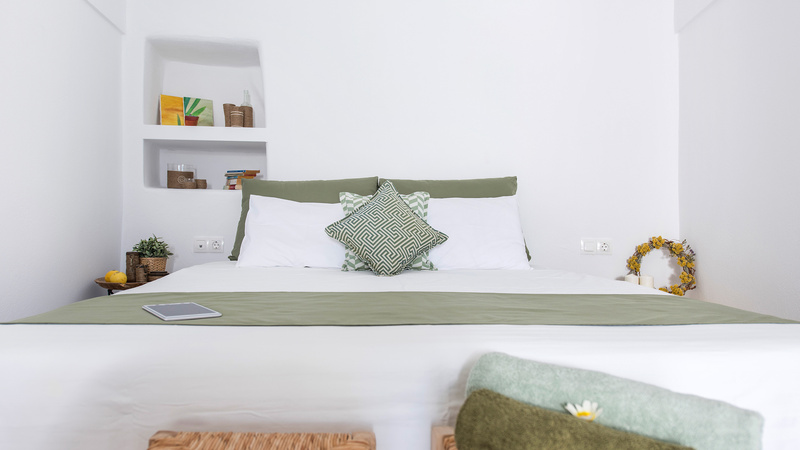 The LIME house has one open plan king size bedroom bright & comfortable , with direct access to the bathroom area and to the private terrace. 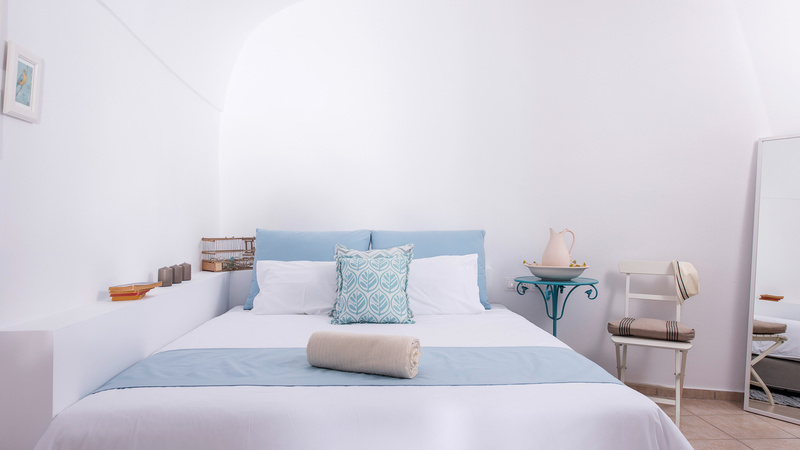 The BLUE house has one open plan king size bedrooms bright and comfortable , with direct access to the bathroom and to the private terrace . 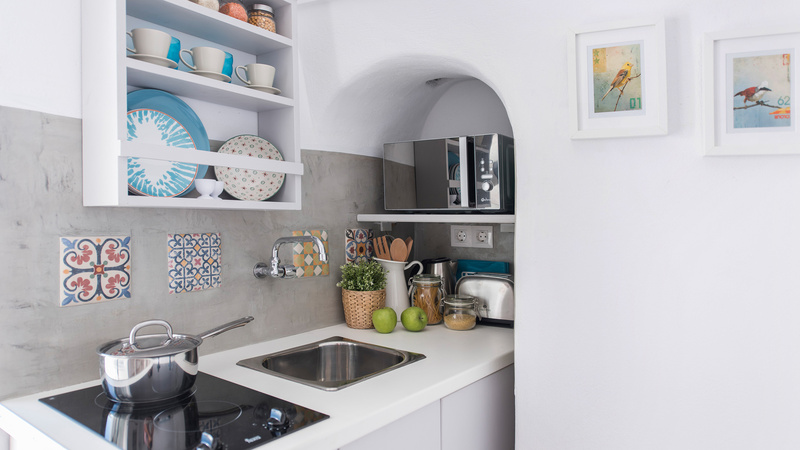 A fully equipped kitchenette provides you with all services & facilities so you can enjoy your breakfast or your meals at the privacy of our House. 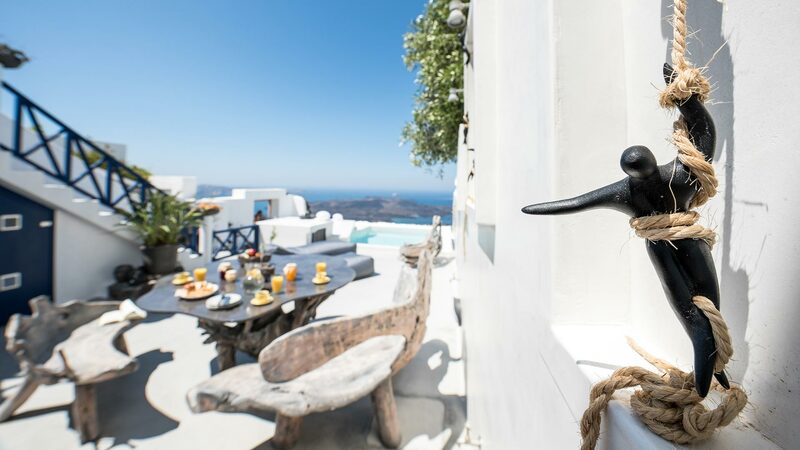 A spacious terrace with a large table, chairs , day bed and sun loungers for precious & memorable experiences on the world's most enchanting island. 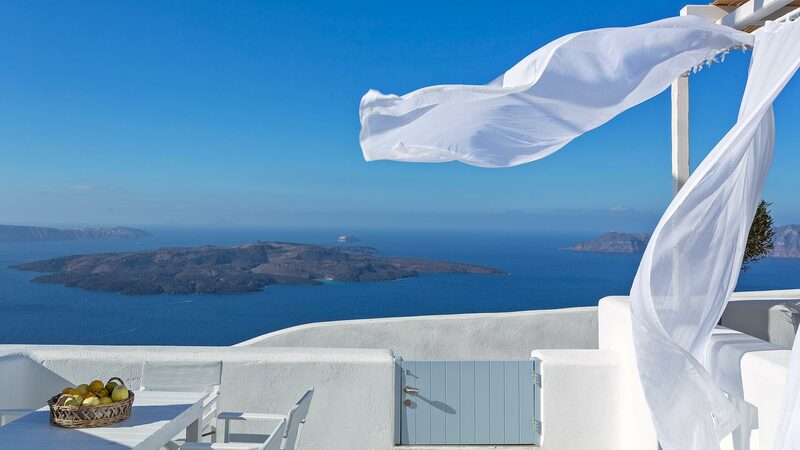 Be inspired by the freshness of blue and the purity of white! 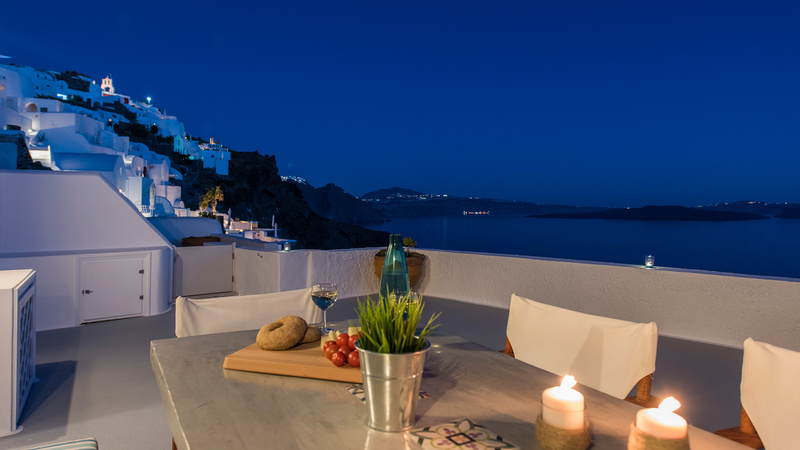 Welcome basket of water and local wine. 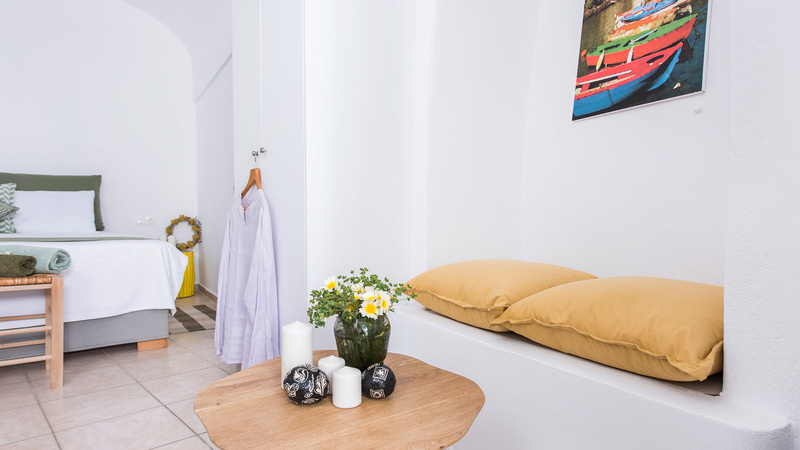 Daily maid service. 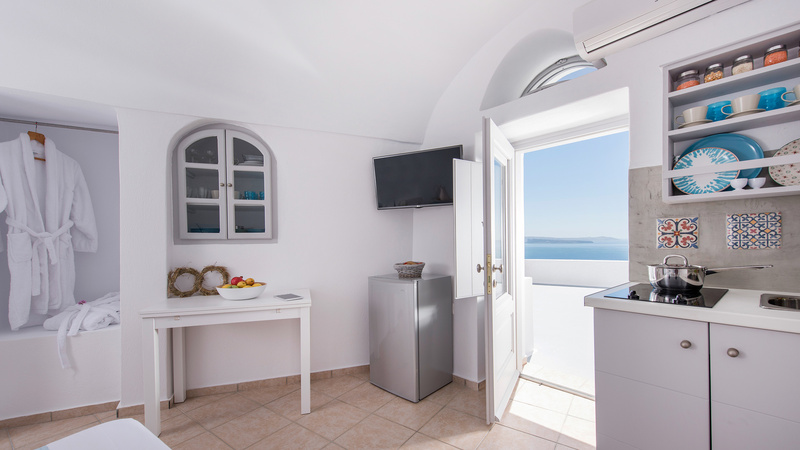 Perfect Purity charges 30% non-refundable deposit upon confrmation by bank transfer or credit card.